How to Ship Art Prints to Another Country? Do you know how to ship art prints to another country? We are now not talking about small prints that can be found in many gift shops and various stores. We are now talking about large fine art prints that can be found in contemporary art galleries and museums. Such prints are usually unique or produced in extremely limited editions, which makes them especially valuable and important for their owners. It is needless to say that shipping art prints like that is pretty challenging, not to mention that these artworks require the utmost care and attention at every step of the artwork packing and shipping process. In other words, if you do not know how to ship art prints of exceptional value to another country safely and securely yourself, you need to hire a reliable fine art shipping company for this job! This is especially true when it comes to shipping art prints made by Laumont. 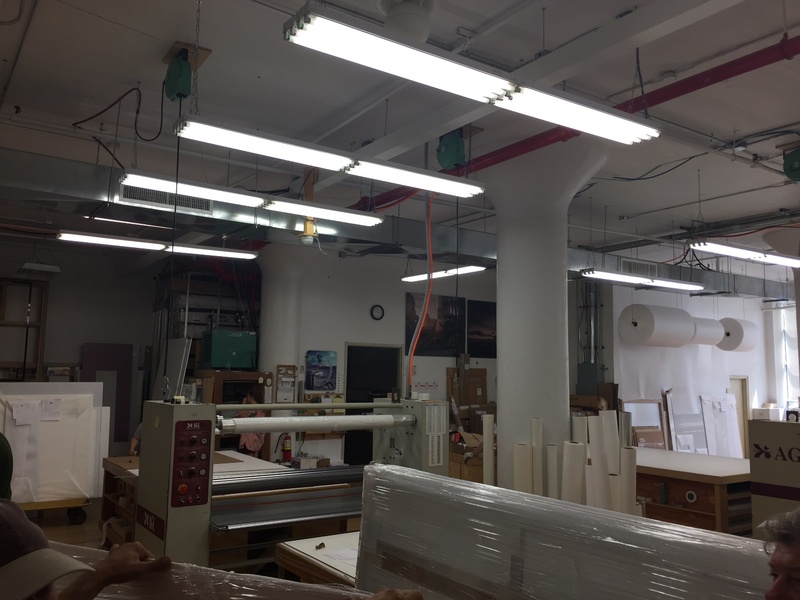 Fine Art Shippers is really lucky to partner with Laumont that has long been a go-to place in NYC for any fine art printing, framing, and scanning needs. 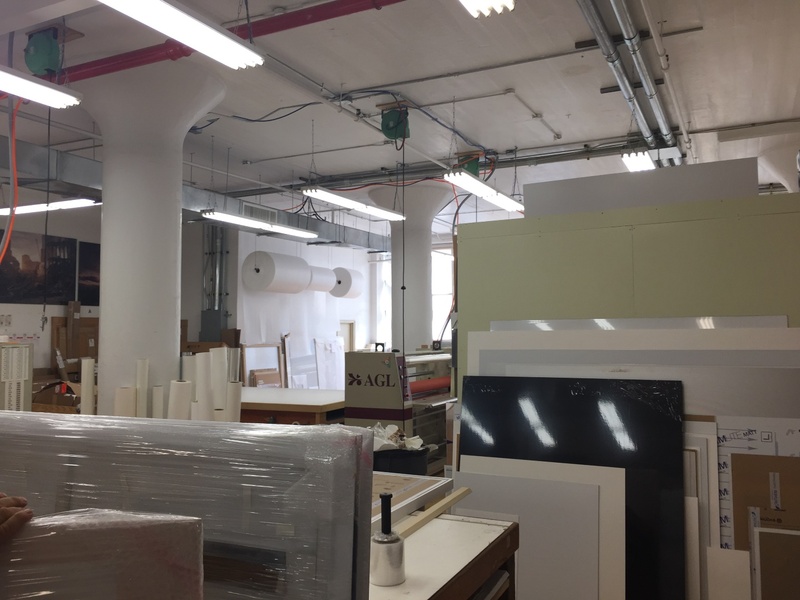 This amazing printing studio collaborates with many talented contemporary artists, designers, and a whole range of different businesses, helping them bring their creative ideas and projects to life. 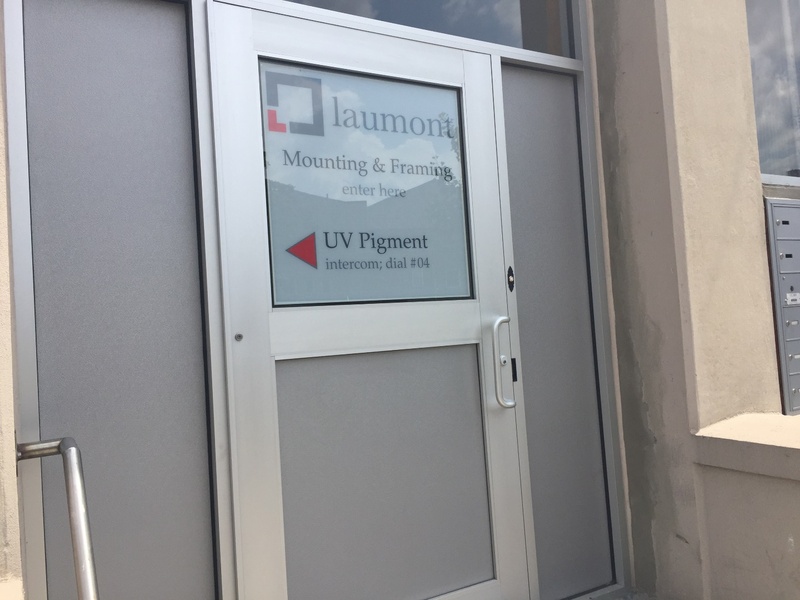 It is an honor and a great pleasure for Fine Art Shippers to work with Laumont, packing and shipping art prints made by this innovative company. 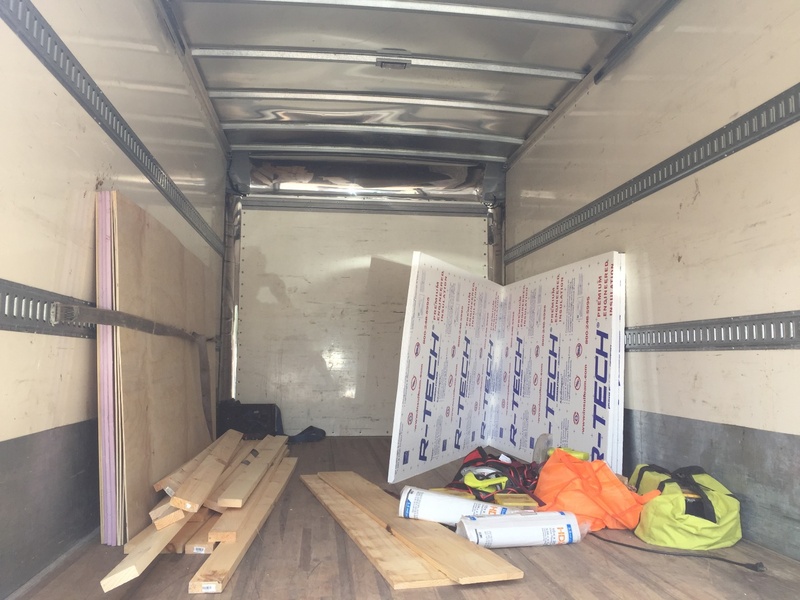 For example, not so long ago, we were entrusted to pick up several large prints from Laumont and ship them to London for our clients from East. 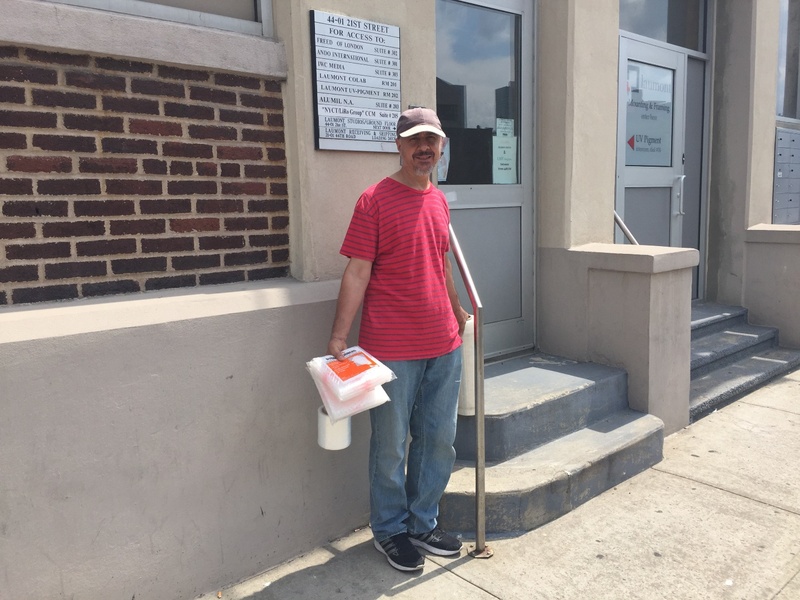 Our team enjoyed every moment working with this reputable printing studio, and we definitely recommend it to everyone! How to ship art prints to another country safely? 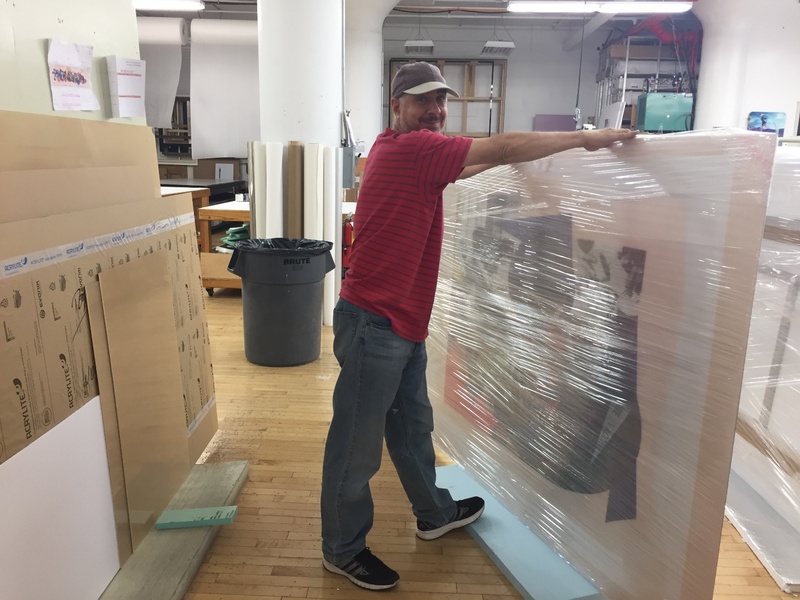 It goes without saying that packing is the most important step of the artwork shipping process, especially when you are shipping something large and fragile overseas. 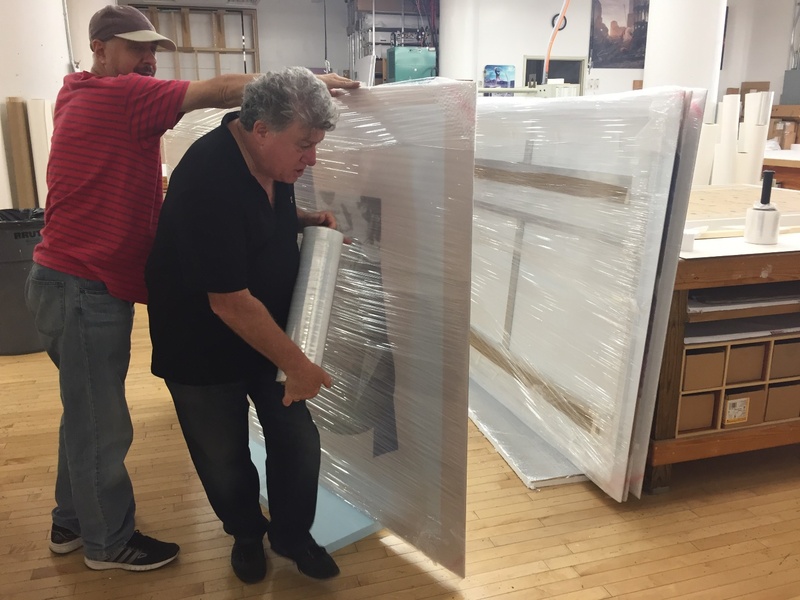 At Fine Art Shippers, we know that like no other and, therefore, offer a full range of high-quality art packing and crating services for any need. 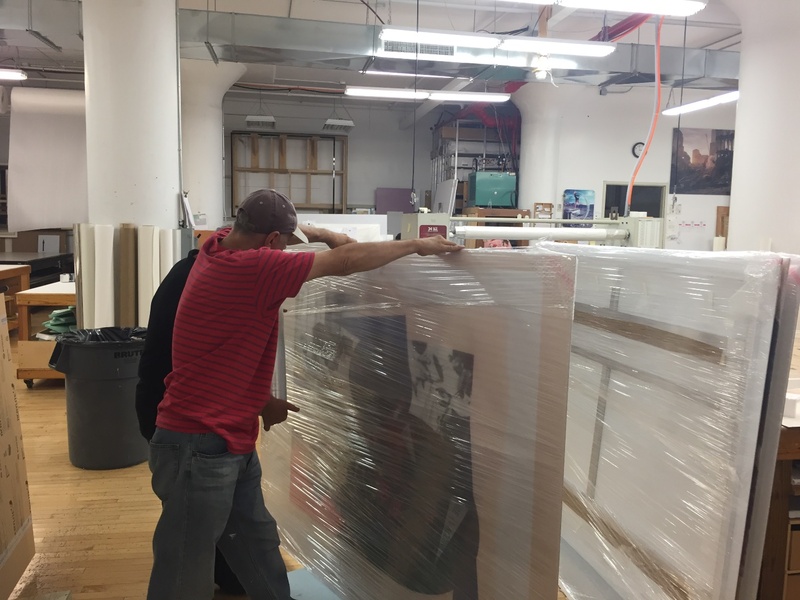 In the photos below, you can see our team packing an art print made by Laumont before transporting it to our warehouse in Brooklyn. If you do not know how to ship art prints to another country, please do not hesitate to contact Fine Art Shippers! 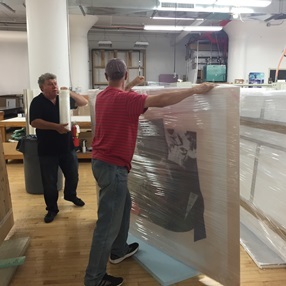 Moreover, you will be pleasantly surprised to know that all our fine art packing and shipping services are available at very competitive prices!